Secretbees Studio: Let Freedom Ring! Well it's that time of year again- barbecues, family and fun! Our national Independence Day! 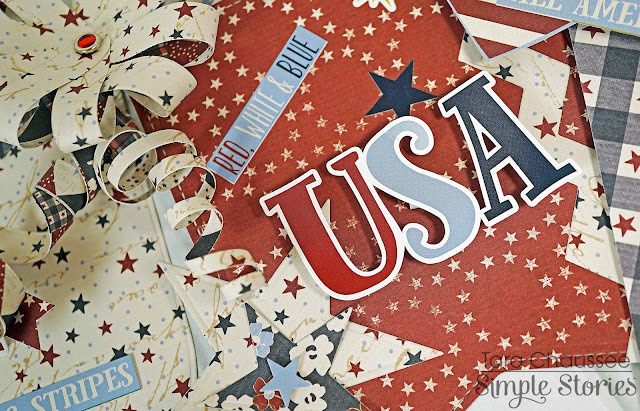 This is always such a fun holiday to celebrate all of our freedoms and the special people that made it all happen! It's one of my favorite holidays to decorate for too- who can resist the cheery color combo of red, white and blue! 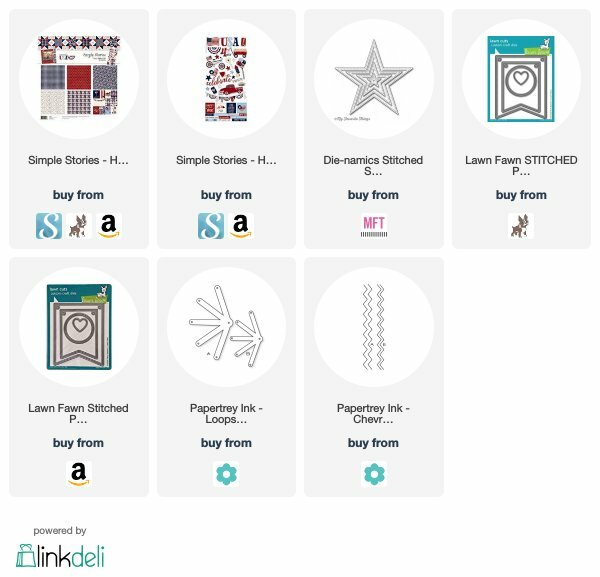 The Simple Stories ''Hometown USA' paper collection is a classic stars and stripes collection full of fun patterns and images celebrating what makes this country so awesome! One of the simplest, yet most festive ways to decorate is with a banner. It's a great way to use all of the patterns of a collection in charming layers with super fun embellishments! 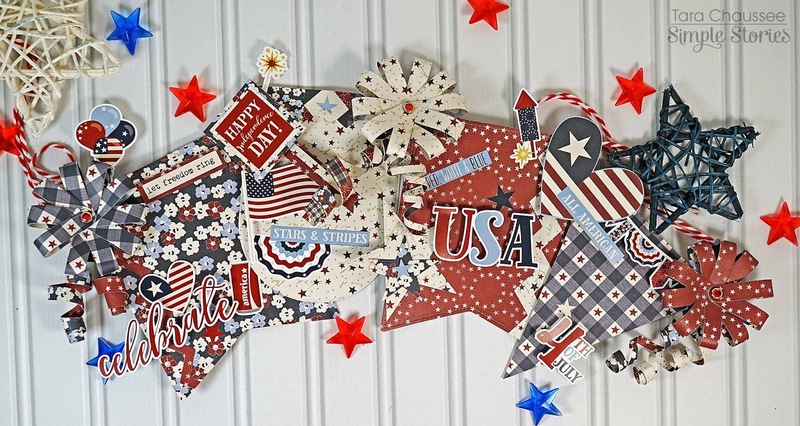 This banner consists of 4 panels in three different shapes- each one a different patterned paper. 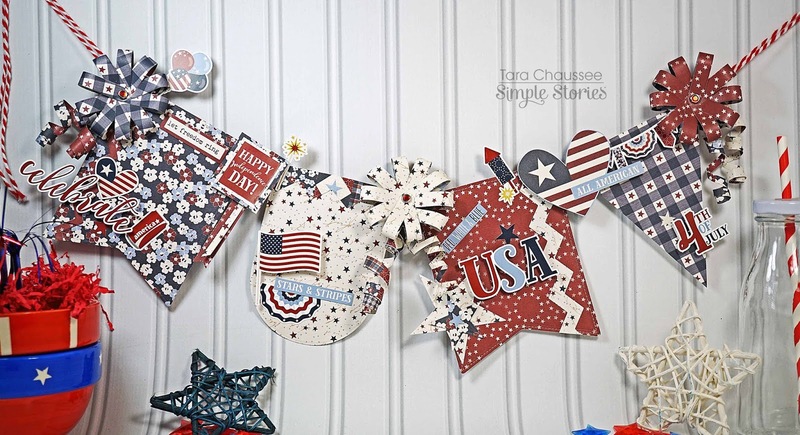 I then added in extra stars, fishtail banners and loopy flowers as adorable accents! The stickers, which are the cutest part of this collection, adorn each panel in fun layers and there are even playful paper curls added in as well! Best Day Ever Mini Album!